Exploring specific storage requirements of our customers, we have brought forward Metal Mezzanine Floors, at very cost-effective prices. Our customers can purchase these floors to meet their extra space needs, with their budget constraints. Available as per the specifications of our customers, these storage solutions are easy to maintain. 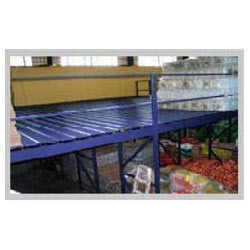 Looking for “Metal Mezzanine Floors”?